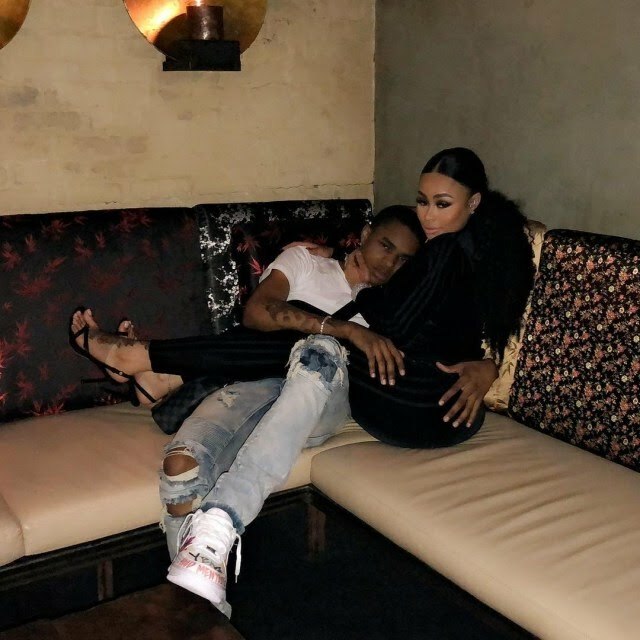 29 year old Blac Chyna shared this cosy photo with her 18 year old boyfriend, YBN Almighty Jay. The couple seem to be growing stronger with each passing day as they now openly engage in PDA. According to news on various gossip websites, the former stripper is two and a half months pregnant, and was spotted rubbing her ‘bump’ as she walked through Los Angeles Airport on April 27. It now appears Blac Chyna may be expecting a third child with her 18-year-old boyfriend, rapper Almighty Jay. Chyna met her latest lover on dating site Christian Mingle, and he admitted they’ve not been bothering with condoms. Who is YBN Almighty Jay? YBN Almighty Jay is an 18-year-old Texas born rapper born in 1999 whose real name is Jay Bradley. The YBN reportedly stands for ‘Young Boss N – gas’ and is a collective crew name which has also been taken on by rap star YBN Nahmir. Almighty Jay regularly performs with Nahmir around the United States. What songs has YBN Almighty Jay released? YBN Almighty Jay hasn’t hit the big time yet, but he released a single called Takin Off in January of this year which proved popular. The song was produced by long time collaborator Hoodzone. He also released a track called Chopsticks which has had 10 million views on YouTube. As well as his own songs, Almighty Jay has appeared on his friends’ tracks, including YBN Nahmir’s No Hook. 0 Response to "29-year-old Blac Chyna cuddles with her 18-year-old boyfriend"